impressive Spinnaker Tower in Portsmouth last night. As you might expect from an event that celebrates the best the motor industry has to offer, GForces were not only in attendance, but also didn’t leave empty handed. 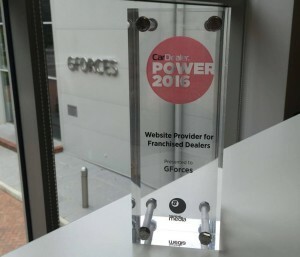 We’re very pleased to have won the Website Provider for Franchised Dealers category and to have also been highly commended as a Website Provider for Independent Dealers and Online Advertiser for New Cars. To have our hard work and achievements recognised by our peers and industry leaders is always a cause for celebration, and we are honoured to be alongside such esteemed competition and to take home an award. The Car Dealer Power survey has been carried out by Car Dealer for the last seven years and has gone from strength to strength. As the nominations are made directly by the dealers, our clients, we are extremely grateful to everyone who took the time to complete the survey and for the glowing commendation it represents. 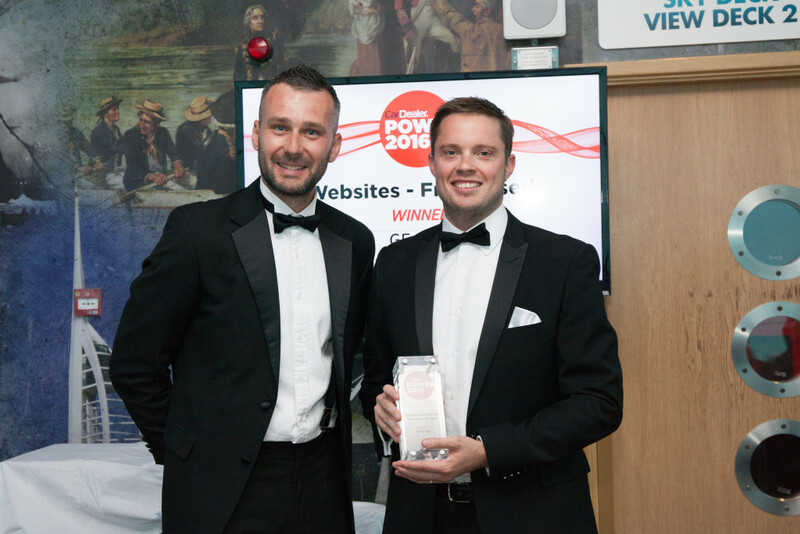 As Car Dealer magazine, who run the awards, stated, winners are therefore part of an elite club that are doing the job properly as recognised by dealers. GForces are proud to be members of that club. Web strategies powered by our NetDirector® platform have won more awards from the UK automotive industry than any other, and it’s a record we’re committed to continuing. Full coverage will be in the next issue of Car Dealer magazine, out on August 22nd.